This 6-minute animated film explains how we can feed the world by 2050; it was produced by CCAFS and first shown at the Planet Under Pressure conference in London, Mar 2012. 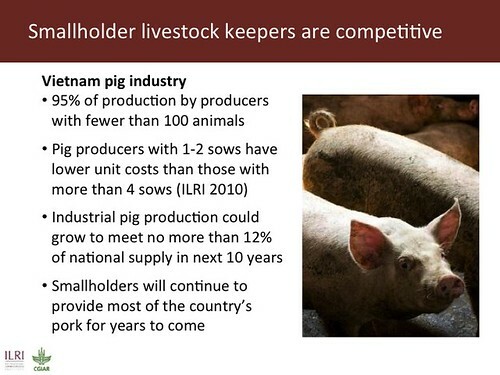 In this last posting from the International Livestock Research Institute (ILRI) about the recent Planet Under Pressure (PUP) conference (London, 26-29 Mar 2012), we highlight a few of our favourite things. The Commission on Sustainable Agriculture and Climate Change launched a short animation that illustrates key actions needed for a ‘safe operating space’ for food security in 2050. 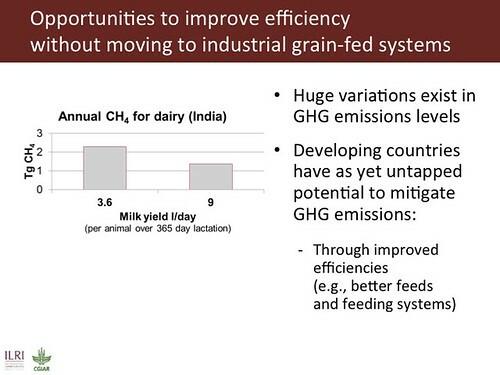 An integrated approach must balance how much food we produce, how we adapt to a changing climate and how much agriculture contributes to further climate change. 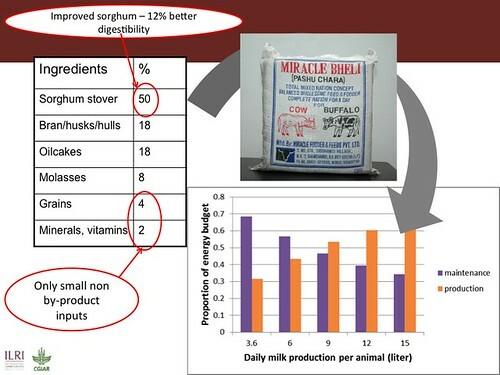 The film offers a summary of steps needed to meet food needs and stabilize the climate. It is short (6 minutes) and very good. Watch it here: How to feed the world in 2050: actions in a changing climate, Mar 2012. Efforts to alleviate the worst effects of climate change cannot succeed without simultaneously addressing the crises in global agriculture and the food system and empowering the world’s most vulnerable populations. Many of these issues have commonly been ‘stovepiped’ into different scientific disciplines, economic sectors, policy processes and geographic regions. The Commission on Sustainable Agriculture and Climate Change was set up in 2011 to come up with an integrated approach for dealing with these urgent, globally interconnected challenges. Their final report and summary for policymakers, launched at PUP, offer concrete actions to transforming the food system to achieve food security in the face of climate change. Deborah Bossio, a soil scientist who in Feb 2012 took up the position of research area leader of the Tropical Soil Biology and Fertility Institute of the International Center for Tropical Agriculture (CIAT-TSBF), led a session on ‘Intensifying agriculture within planetary boundaries’. One of the panel speakers was Kate Brauman, one of the authors of a paper published in Nature last October, Solutions for a cultivated planet, led by Jon Foley, director of the Institute on the Environment at the University of Minnesota, and co-authored by many others. 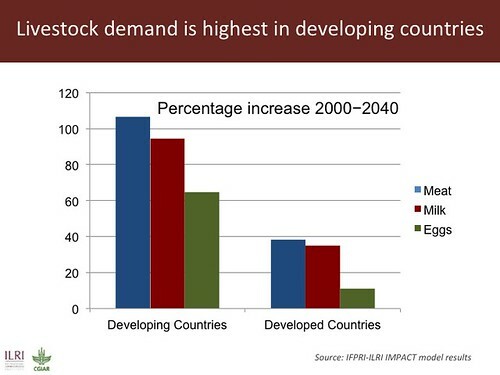 (1) Slow agricultural expansion: Most expansion will give us relatively small gains at very great environmental costs. 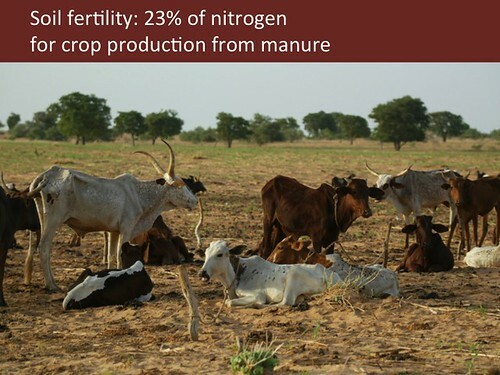 (3) Improve resource efficiency of agriculture: Grow smarter by noting where there is excessive and insufficient nitrogen sources, water sources, etc., and get more bang for our buck. 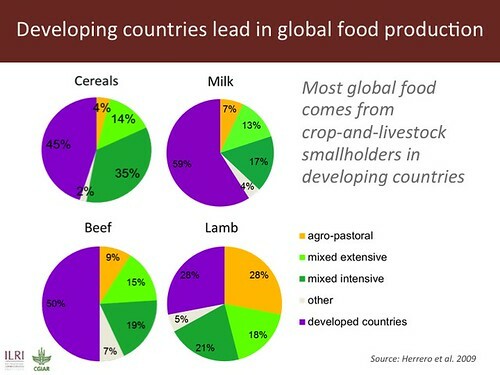 (4) Close diet gaps: Only 60% of global production is directly consumable, with much going to animal feed, etc. 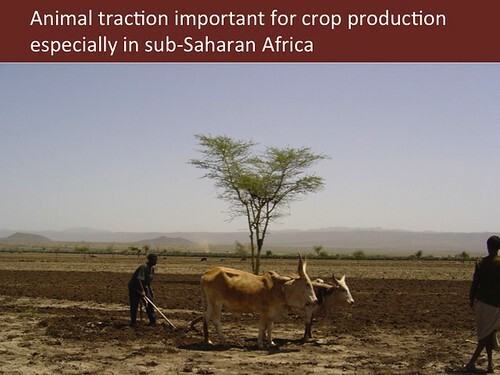 Read an earlier post on this ILRI Clippings Blog about the ‘Solutions for a cultivated planet’ paper: A BIG conversation starts on ways to increase food supplies while protecting environments and eradicating hunger, 14 Oct 2011. A CGIAR Research Program on Water, Land and Ecosystems was launched at PUP. This multi-institutional program is led by the International Water Management Institute (IWMI), recently named this year’s Stockholm Water Prize Laureate. The new program embodies a ten-year commitment to bring about a radical transformation in the way land, water and natural systems are managed. ILRI is one of its 11 CGIAR partners. The new research program is the latest in a series of initiatives designed to promote more joined-up-thinking on agricultural research for development at CGIAR, the world’s largest consortium of agricultural researchers. The program’s newly appointed director, Simon Cook, says that more effective, equitable and environmentally sensitive pricing of natural assets like water needs to be mainstreamed. And the fragmented ways in which river basins are managed—with different sectors, such as agriculture, industry, environment and mining, considered separately rather than as interrelated and interdependent—needs to be fixed. ‘A re-think is needed’, Cook says. 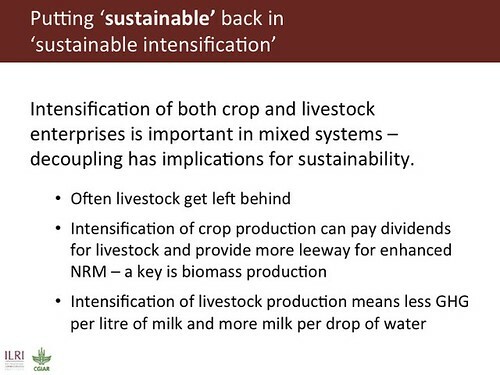 ILRI scientist Diego Valbuena gave a handsome presentation on Biomass pressures in mixed farms: Implications for livelihoods and ecosystems services in South Asia and sub-Saharan Africa at a ‘Food security’ session on the first day of PUP. 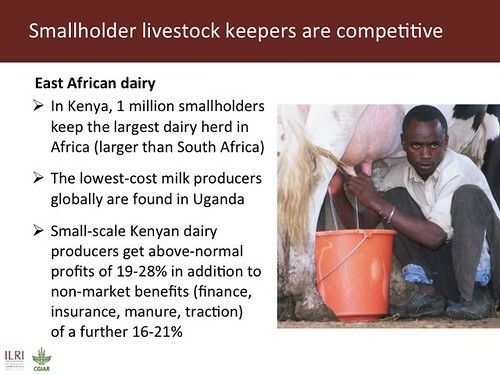 The work behind this presentation was conducted by members of the CGIAR Systemwide Livestock Programme. 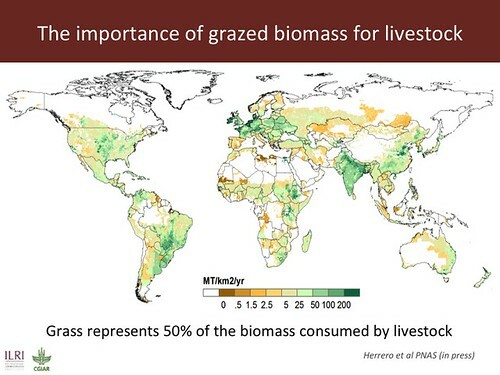 If the planet is under pressure (and it is), the pressure on biomass might serve as its poster child. 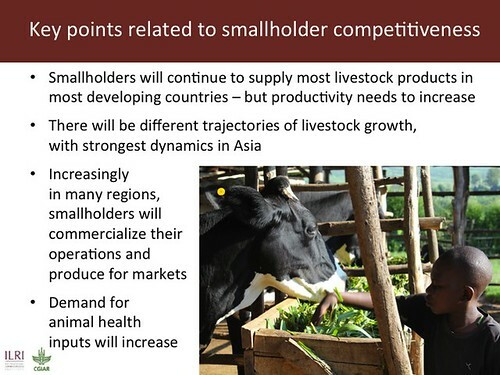 Most of the world’s small-scale farmers mix crop growing with livestock raising, with each activity supporting the other. 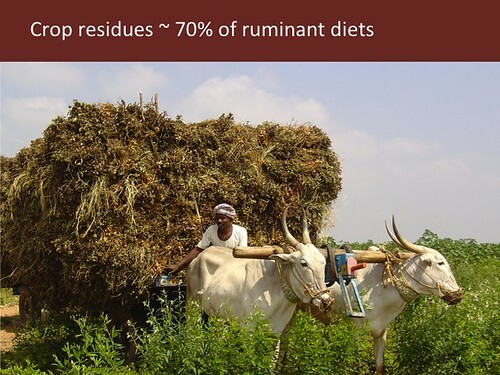 One of the major synergies exemplified by kind of integrated farming is the use of crop residues—the leaves, stalks and other remains of crops after their grain or legumes have been harvested—for feeding livestock as well as for conserving soil nutrients (through mulching), for fuel and for construction. 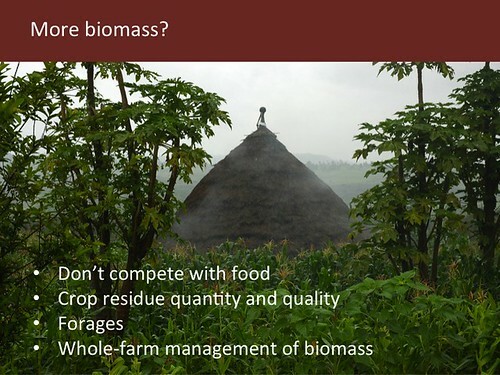 As agricultural systems intensify, the pressures on the biomass available increase. This research is identifying optimal ways of using crop residues in different regions and circumstances. Planet under pressure / Navigating the Anthropocene, 29 Mar 2012. Planet under pressure / Where’s the beef? 9 Apr 2012.